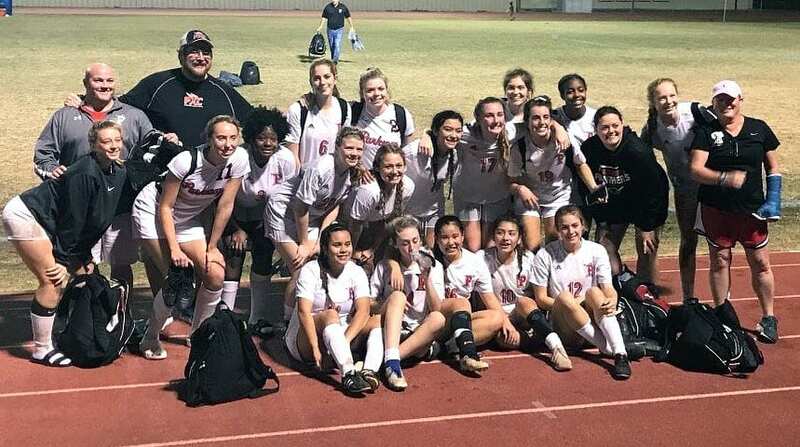 For the fourth consecutive year, the Parkway Lady Panthers are headed to the quarterfinals of the Division II soccer playoffs. Parkway, the No. 11 seed, upset No. 6 Sam Houston 3-1 in the second-round Wednesday in Lake Charles. The Lady Panthers (12-7-5) will host No. 3 Neville (18-5-3), which defeated Parkway’s District 1 rival Benton 1-0 in the second round. The game must be played by Monday. Faith Ingles, Lauren Sepeda and Peyton Pipes scored Parkway’s goals. Ingles and Maya Jackson had one assist each. Harley Pierce was the winning goalkeeper. Parkway, which led 2-0 at the half, extended their unbeaten streak to 12 games (nine wins, three ties). Parkway played a very tough early season schedule. All seven of their losses were against teams that made the playoffs, including Division I No. 1 seed Byrd and Division IV No. 1 Loyola (twice). Others losses were against Neville, Division I No. 3 Mandeville, Division I No. 16 Fontainebleau, Division I No. 17 Captain Shreve and Division II No. 8 Caddo Magnet. The Lady Panthers have excelled in the playoffs since moving into Division II in 2015. Parkway reached the semifinals that season. The Lady Panthers have lost in the quarterfinals the last two seasons. In 2017, they lost to eventual state champion Lakeshore 4-0. Last season, they fell to District 1 rival Caddo Magnet 2-0. Parkway and Magnet shared the district title this season. The No. 8 seed Lady Mustangs lost to No. 9 Ben Franklin 4-0 in the second round.